Levinus de Blieck, known as Jan, was born in Utrecht, The Netherlands. 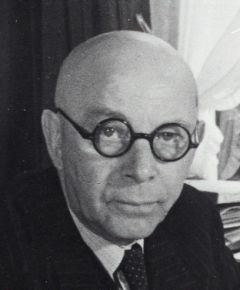 He gained his veterinary qualification in 1899 at the Utrecht State Veterinary College, and a PhD from the University of Bern, Switzerland in 1906. He was first employed as an abattoir vet. His laboratory career began as a bacteriologist and later deputy director at the National Serum Institute, Rotterdam (1905-1908). Then he became head of the Veterinary Laboratory (later Christiaan Eijkman Institute) at Buitenzorg in the former Netherlands East Indies (today Bogor in Indonesia) (1908-1911). From 1 January 1911, he was director of the Veterinary College at Buitenzorg. The Veterinary College and Veterinary Laboratory merged into the Veterinary Institute. From 1914-1916, de Blieck was director of this Institute. His research focused largely on diseases of large production animals. In 1916 he returned to The Netherlands as professor of Parasitic and Infectious Diseases at the State Veterinary College. In 1925 this college became the Veterinary Faculty of Utrecht State University. During his 32-year career at the Utrecht Veterinary Faculty, de Blieck managed to expand his scientific staff and turned his institute into a productive scientific centre. With great enthusiasm he taught bacteriology, immunology, infectious diseases and veterinary policy to generations of Dutch veterinarians. In 1946 his institute was reorganised and his chair changed to Tropical Hygiene. Although his work on diseases of large production animals continued, his interest shifted to the emerging field of poultry science in the early 1920s. Together with his co-worker T van Heelsbergen he produced the first effective vaccine against fowl pox. The commercial production of this vaccine intensified the contacts between de Blieck and the pharmaceutical industry, which enabled him to set up a private laboratory near his house in Bilthoven with its own personnel and laboratory animals. 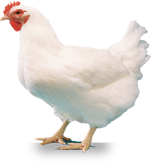 A few years later he succeeded in isolating the bacterium that caused coryza in poultry. He also worked on mycoplasmosis and coccidiosis. His work was honoured nationally and internationally. He retired officially in 1948, aged 70, but retained his interest in work. He married Maria Anna Francisca Lips in 1906. They had one son, Jan de Blieck, born in 1907 in Rotterdam. Outside work, he enjoyed music and played the organ. WVPA thanks Peter Koolmees for compiling this profile.